I took an instant dislike to this woman, who, though she had attended the speed blogging session, had clearly not experienced it. Speed blogging is always one of my favorite parts of the Wine Bloggers Conference, because it’s such a challenge. The seven or eight bloggers at each table are trying to get as much information out of the wine presenters as possible, while simultaneously assessing each wine and writing something intelligent about it, all within each five-minute wine speed date. Composing fluffy bottle shots with flowers and candles and such is not within the remotest realm of possibility. And it’s no picnic for the presenters, either. They’re faced with a table of stressed bloggers who don’t make eye contact (we’re buried in our laptops and phones). We shout a barrage of questions ranging from the simple (Vintage?!) to the irritating (What’s your Twitter handle? Wait — what’s your Twitter handle?) to the borderline rude (Who are you? Who? Oh, the owner?). Meanwhile they’re trying to pour the wine, explain the wine, pass out information sheets about the wine, and give us each a chance to photograph the wine, ideally with a nice background, of course. In short, it’s barely controlled chaos, and I absolutely love it. 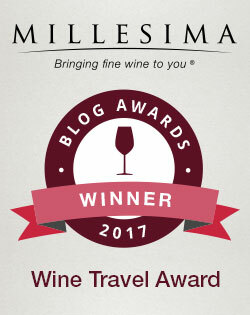 In order to successfully speed blog, I have to find a place of serious focus, shutting out all the noise and confusion around me in order to give each wine the attention it deserves. Learning to focus that way has helped me in all sorts of loud, overcrowded tastings (one of the most common kinds). After having been in Lodi since Wednesday evening and trying dozens of local reds, this speed blogging event was not particularly surprising. But it was particularly delightful. The reds here tend to be richly fruity and concentrated, with enough spice, acids and tannins to balance. It can be a truly gorgeous combination. 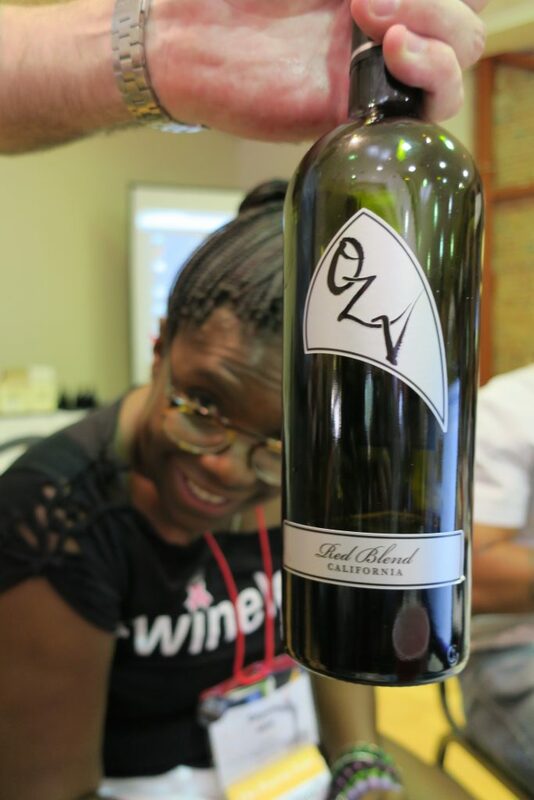 2013 Harney Lane Old Vine Zinfandel Lizzy James Vineyard: Lizzy James really is an old-vine vineyard — it was planted in 1904, sixth-generation winery owner Kyle explained. Aged in 100% French oak, this Zin has a gorgeously rich raspberry and vanilla aroma, cool and clear fruit, with forceful white pepper and plenty of heady alcohol. Ah yes — it’s 15.5% alcohol! And yet it’s balanced. It’s a bit of a monster, this wine, and I love it. At $36 it’s not inexpensive, but now I regret not buying a bottle at the winery when I had the chance. 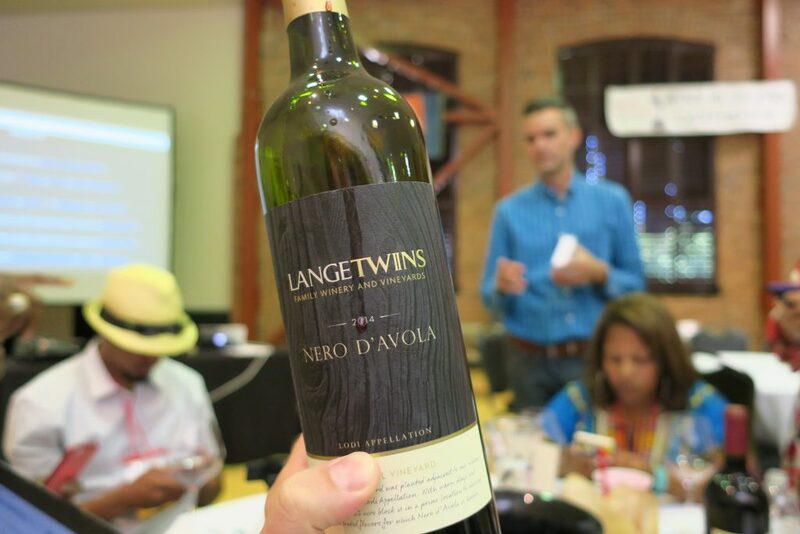 2014 LangeTwins Nero d’Avola: Joe Lange himself poured this Italian varietal, and it’s unfortunately the second-to-last vintage. The Lange family had to rip up the vines after the 2015 harvest because of a couple of serious vineyard diseases. What a lovely dark cherry aroma, enhanced with some purple flowers. There’s a nice calm characteristic to the fruit, and classy, restrained spice with enough oomph to balance. It’s a steal at $20, and based on what I’ve tasted at the conference this week, I wouldn’t hesitate to purchase any LangeTwins bottling of any of the 23 or 24 varieties they make. 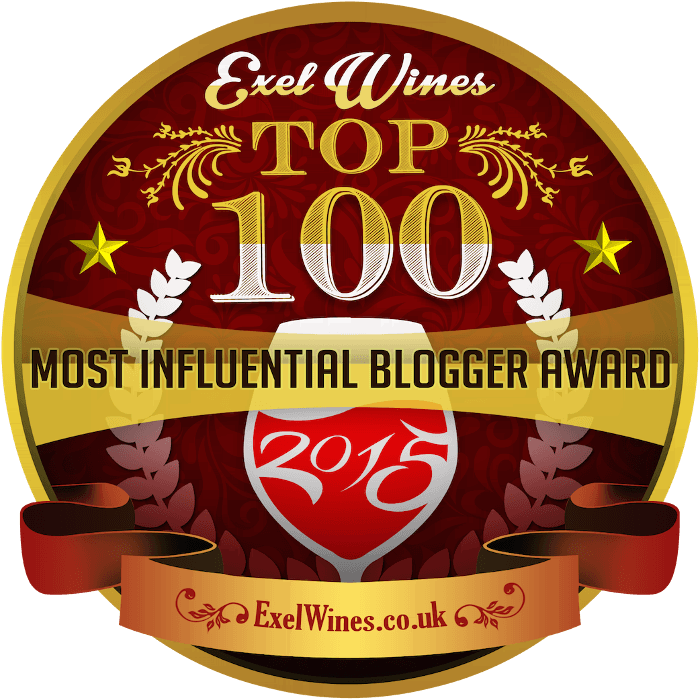 2013 Michael David “Inkblot” Cabernet Franc: The first Cabernet Franc of the conference! 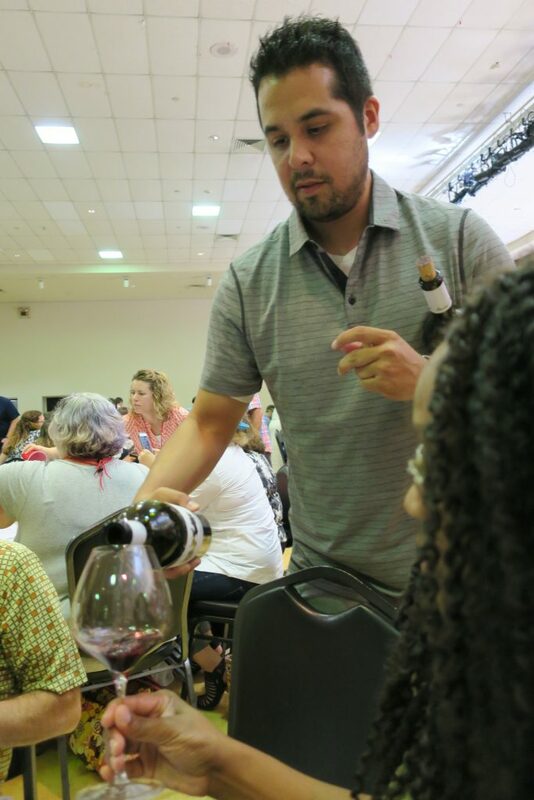 Each vintage of Inkblot showcases a different variety that wine drinkers might not expect, such as Petit Verdot or Tannat, or in this case, Cab Franc, as the marketing manager Paul explained. It contains 10% Petit Sirah to round things out, and my goodness, it works. The aroma is heady and dark, the fruit is big and lush on the palate, and it moves to a blast of tannins followed by an elegant shaft of spice on the finish. It’s certainly drinkable now, but I would love to lay a bottle down for five years to see what happens. The $35 price seems perfectly reasonable. 2013 Peirano Estate “The Other” Red Blend: A blend of 50% Cabernet Sauvignon, 40% Merlot and 10% Syrah, this wine has an unexpected aroma, with almost jammy dark fruit combined with an underripe green-pepper quality. Though now that it’s been in my glass a few moments, the fruit has started to overpower the vegetable. There’s plenty of rich fruit — even in a $12 wine from Lodi, there better be, followed by black pepper spice and soft tannins. 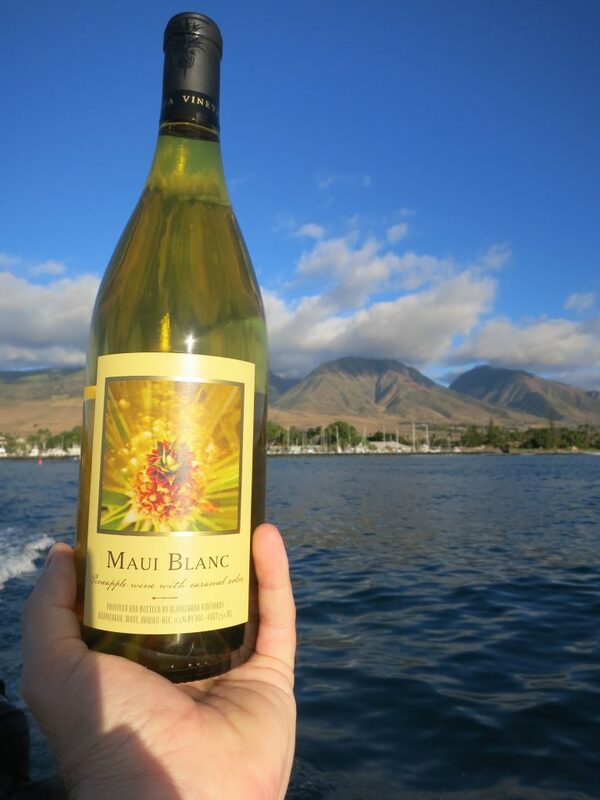 It’s perfectly drinkable, and not at all a bad value for $12. 2014 Klinker Brick Cabernet Sauvignon: Steve Feldman, the winery owner, shared with us Klinker Brick’s first Cabernet Sauvignon vintage, which retails for $19. It has a deliciously rich aroma of dark fruit, a midsection of classy spice and firm but not aggressive tannins on the finish. This is a Cabernet I can really get behind — the first Lodi Cabernet I’ve really loved. It coats the mouth with ripe, chewy fruit, and it’s a superlative value. 2013 Cultivar Cabernet Sauvignon: I don’t usually write about Napa Cabernets, because they are exactly the opposite of unusual and obscure, so it’s a nice change of pace. I like its heady dark fruit aroma and up-front fruit on the palate. It makes a quick pass through some spice in the midsection before giving me a slap of tannins, followed by some slow-developing black pepper spice. I suspect it needs another year or two to round and soften. I quite like it, but I would much rather spend $19 on the Klinker Brick than $29 on this one. 2013 Oak Ridge Winery “Moss Roxx” Ancient Vine Zinfandel: Steve, the international marketing manager, poured some the OZV red blend before this, which I unfortunately didn’t have time to taste. I can barely handle one wine per speed taste in this event. Two, for me, is an impossibility. 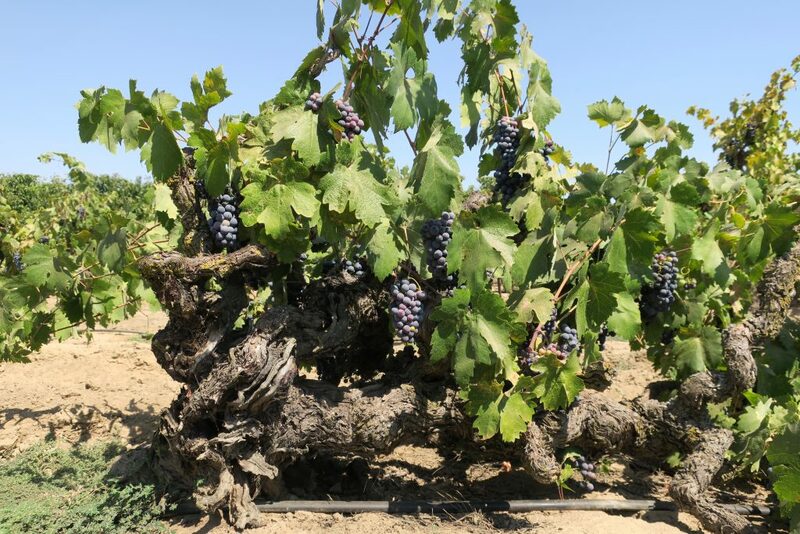 I skipped the OZV in order to move right to this Zin from vines which average 105 years in age. I love the rich red-fruit jam aroma, cool ripe fruit on the palate, classy white pepper spice and notable tannins on the finish. A delight for $22. 2013 Ehlers Estate “1886” Cabernet Sauvignon: This is the flagship Cabernet of this Napa winery, with fruit from St. Helena. It’s actually 85% Cabernet with 5% Merlot, 8% Cabernet Franc and 2% Petit Verdot. I loved the perfumed dark red fruit aroma, ample but classy white pepper spice in the middle and clear but supple tannins on the finish. It’s beautifully made, and if I were rich, I might even consider buying it for $110. Read about Speed Blogging session #1 — Lodi whites, rosés and bubblies — here, or for more red wine Speed Blogging action, read last year’s red report here. These wine tastes were provided free of charge. Impressed by your work ethic to have posts up already!